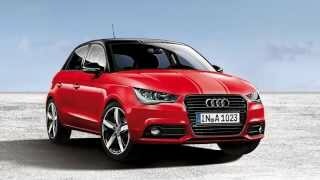 In case you're an Audi A1 enthusiast but you're planning on waiting for the RS version to hit the market, you might be happy to learn that now you have somewhat of an alternative to the highly anticipated RS1. 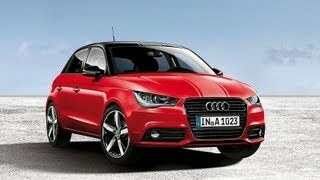 On short, quite recently the German carmaker announced three new trim levels that will be available for the A1, which will undeniably make the hatchback more attractive, but not more powerful. 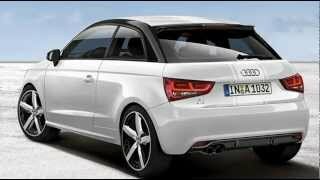 Dubbed the Audi A1 Amplified 2012, the new trim levels will only bring aesthetic changes to your Audi, so it's not actually the real deal, but it's as close as it can get to the fabled RS1. The three trim levels are called Amplified, Amplified Plus and Amplified Advanced. The entry-level "Amplified" introduces a new set of 17-inch alloy wheels with black inserts, glossy black roof rails, exterior mirror housings and single-frame grille and S line roof spoiler, and a transparent film for the engine hood, rear hatch and roof. On the interior theAmplified trim level brings air vents painted to match the body color and black-trimmed sport seats with contrast stitching. Next in line is the Amplified Plus trim level, bringing additional features over the entry-level trim such as LED interior light package and a color coordinated ignition key, stainless steel foot rest and pedals, black headliner and a center console painted to match the color of the car. Exterior modifications include a body kit featuring glossy black diffuser with one or two matt black tailpipes (depending on the engine) and LED taillights. 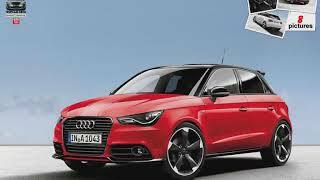 Last but certainly not least, the Amplified Advanced trim level will be only made available only for the Audi A1's boasting more than 120 horsepower. The more costly upgrade brings all the features of the other two trim levels and adds an S Line sport package interior featuring S sport seats covered in silk Napa leather with contrasting red or dark silver stitching, and seat shells painted to match the exterior of the car. Further modifications include a new set of 18 inch wheels, a tinted rear window and Xenon plus headlights. In case one of the Amplified packages caught your attention then be prepared to pay €1,990 for the entry-level trim, €3,990 for the mid-ranged Amplified Plus or in case you want the whole package, the Amplified Advanced trim level will set you back €6,990.